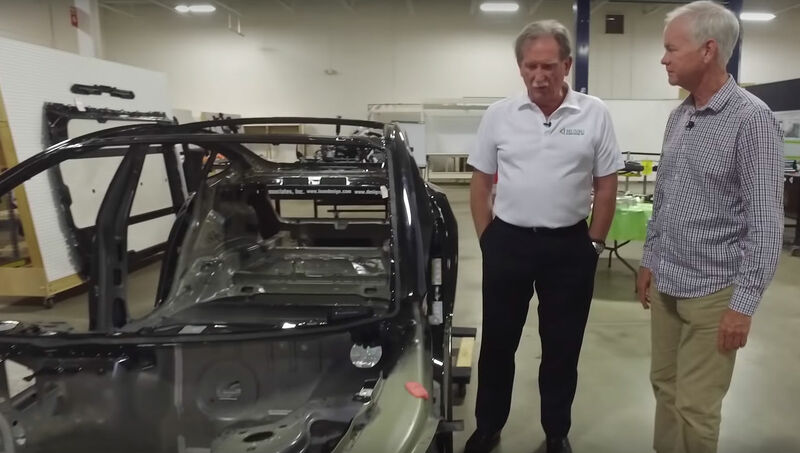 Teardown specialist Sandy Munro has completed his company’s analysis of the Model 3, and according to the Detroit veteran, Tesla’s compact electric car is solidly profitable. By studying the vehicle’s components, Munro estimates that Tesla would see more than 30% worth of profits from the Long Range RWD version of the vehicle. In the latest Autoline Network segment, however, Munro admitted that the Model 3 is also set to deliver healthy a healthy profit margin for Tesla. “The Model 3 is profitable. I didn’t think it was gonna happen this way, but the Model 3 is profitable. Over 30%. No electric car is getting 30% net, nobody,” Munro said. Munro credits Tesla’s profit margins for the vehicle to the company’s in-house development. In one example, Munro noted that the rearview mirror of the Model 3 costs a mere $29.48, which is far less than the BMW i3’s $93.46 mirror. The Chevy Bolt EV’s rearview mirror was even more expensive at $164.83. According to Munro’s report, the i3 and the Bolt’s rearview mirrors were expensive due to their added functionalities — functionalities that are accomplished by the Model 3’s 15-inch touchscreen. “That’s the magic of using components that are already on the car. You make them work double or triple duty,” Munro said. Ultimately, Munro admitted that the final results of his company’s Model 3 analysis were not at all what he expected. Poking fun at his initial reaction, Munro stated “a lot of crow (was) being eaten around here,” citing a colloquial idiom that refers to a person’s admittance of error after taking a strong position. Munro’s change of heart about the Model 3 started when he found things that he liked about the vehicle in late February. Among the Model 3’s strongest points, according to the auto veteran then, was its ride and drive, since the car handles well on the road. During this time, Munro noted that the Model 3 would fail his company’s build and quality test, but it would likely get decent marks on ride and drive. Munro returned to talk about the Model 3 last April, where he stated that an analysis of the car’s electronics showed that Tesla is practically utilizing military-grade electronics on the vehicle. Munro also praised the Model 3’s battery pack, stating that it was the best that he had seen so far. Munro’s conclusion then was that everything from the Model 3’s suspension going down was perfect, but everything about the car’s bodywork was questionable. Tesla eventually issued a statement about Munro’s initial findings, explaining that the Model 3 the teardown company acquired was an early build. During Tesla’s response, the electric car and energy company pledged to make the Model 3 even better over time, and to refine its manufacturing processes to the point were its bodywork becomes well within, or even beyond, industry standards. Watch Sandy Munro’s conclusions about the Model 3 in the video below.